I received a VJS58-325 rod in trade for some rod building work I did last winter. I am looking to do a cod trip on the Frances Fleet out of Pt Jude this fall. Will this rod, at a measly 5'8", make for more trouble than it is worth? I have never done this trip, but generally opt for rods in the 7'+ length when I go on party boats for fluke, seabass, etc... in the summer. I have a dedicated cod rod that I intend to bring along for bait purposes, but wanted to also bring along a dedicated jigging rod for the trip. I guess my biggest question is, will a rod under 6' be asking for issues on a party boat? I use a Vs on a 6.5, with no problems. my friend Casey uses his Vs exclusively and does well. Not sure the size of his rod. We usually set up on the pulpit. We generally do 35 cod trips out of the north shore every year. Thanks. I guess I will bring it along and see what happens. 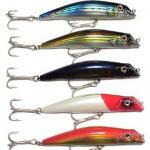 Can it be used YES, However it is not ideal for cod fishing especially as a jigging rod. 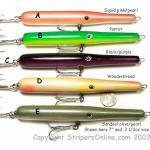 One of the reasons for a longer rod is to impart the correct action when working a jig. Using such a short rod will limit the action you can give your jig. I would sell it or trade it for the propper tool for the job. those VS jigging rods are legit, but i wouldnt use one for cod, too short. they're excellent for tuna though.